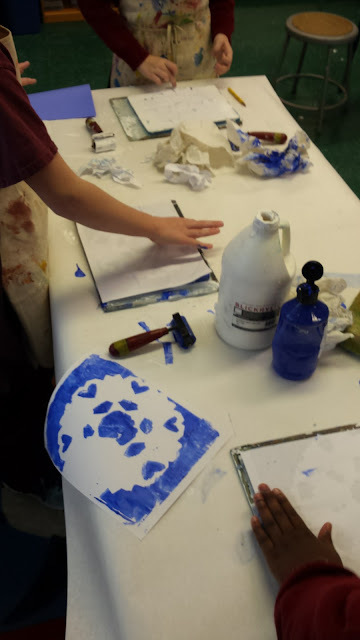 4th Graders learn about the photographer Snowflake Bentley and the concept of negatives by making Gelli Monoprints. 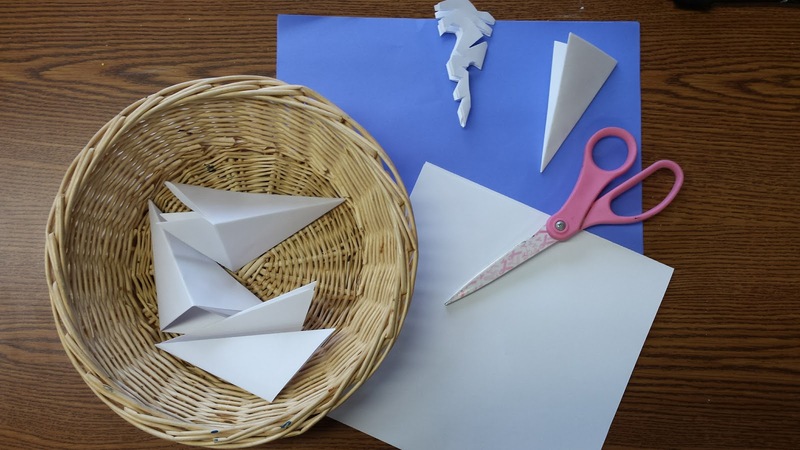 Cut paper snowflakes . . . 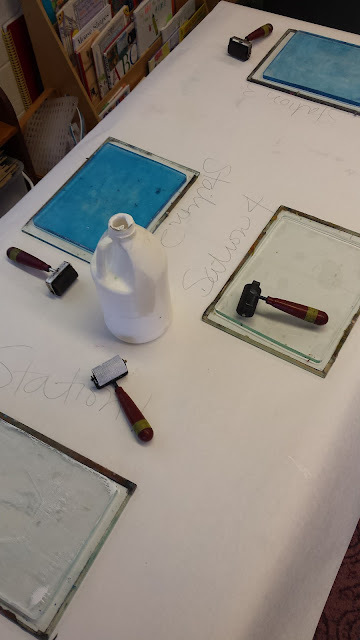 Prepare Gelli plates with acrylic paint. White paint for blue paper, blue paint for white paper. Lay snowflake on top of plate. Press and pull!